Thanks to EC for this link. Tonight, the United States goes on Daylight Savings Time. Great Britain goes on it on March 31st. If there was ever an example that Great Britain is no longer Christian, this is a sign. Imagine changing times on Easter Sunday. Absurd. The Protestants do not make an distinction between actual, that is, temporary grace, and sanctifying grace. 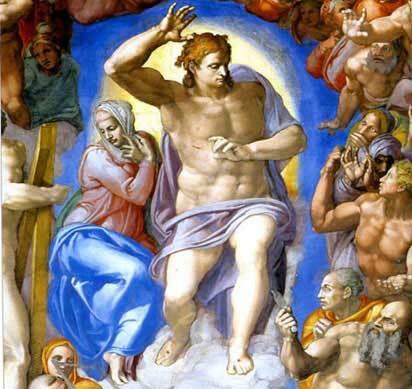 Catholics believe in the Indwelling of the Holy Trinity-a grace given at baptism and throughout life in the Sacraments of the Church. God can give His sanctifying grace to whom He chooses, but we know that the Sacraments impart grace to the soul. Here is a long section on holiness from the CCC. And how do we know we can get sanctifying grace: here is the CCC again. To be continued....two more tomorrow. Continuing our discussion using Boyer and Brumley, I am moving to the points about grace. First, Brumley again. Sola Scriptura vs. Church and Tradition. Bouyer also sees a negative principle that the Reformation unnecessarily associated with sola Scripturaor the sovereignty of the Bible. Yes, the Bible alone is the Word of God in the sense that only the Bible is divinely inspired. And yes the Bible’s authority is supreme in the sense that neither the Church nor the Church’s Tradition "trumps" Scripture. But that doesn’t mean that the Word of God in an authoritative form is found only in the Bible, for the Word of God can be communicated in a non-inspired, yet authoritative form as well. Nor does it mean that there can be no authoritative interpreter of the Bible (the Magisterium) or authoritative interpretation of biblical doctrine (Tradition). Repudiation of the Church’s authority and Tradition simply doesn’t follow from the premise of Scripture’s supremacy as the inspired Word of God. Furthermore, the Tradition and authority of the Church are required to determine the canon of the Bible. Catholics have responsibilities as well. One major responsibility is to be sure they have fully embraced their own Church’s teaching on the gratuitousness of salvation and the supremacy of the Bible. 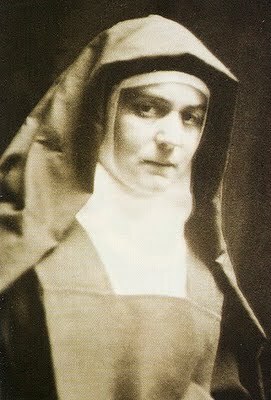 As Bouyer writes, "Catholics are in fact too prone to forget that, if the Church bears within herself, and cannot ever lose, the fullness of Gospel truth, its members, at any given time and place, are always in need of a renewed effort to apprehend this truth really and not just, as Newman would say, ‘notionally’." "To Catholics, lukewarm and unaware of their responsibilities," he adds, the Reformation, properly understood, "recalls the existence of many of their own treasures which they overlook." Only if Catholics are fully Catholic–which includes fully embracing the positive principles of the Reformation that Bouyer insists are essentially Catholic–can they "legitimately aspire to show and prepare their separated brethren the way to a return which would be for them not a denial but a fulfillment." Today, as in the sixteenth century, the burden rests with us Catholics. We must live, by God’s abundant grace, up to our high calling in Christ Jesus. And in this way, show our Protestant brethren that their own positive principles are properly expressed only in the Catholic Church. Now, in the teaching of the Catholic Church on grace: I can explain, briefly, actual and sanctifying grace. First of all, actual grace is transient, passing. It is the movement of the Spirit from God to do good and avoid evil. Actual grace is given to all who are desiring to follow God. A person does not "live" in actual grace. If your mum says to you, "I think you need to go to Confession, as you have not been for a while", that is God acting through someone in an event of actual grace. It is extrinsic. It is suggestion, a hint to do something. It is NOT the Indwelling of the Trinity. This is important. 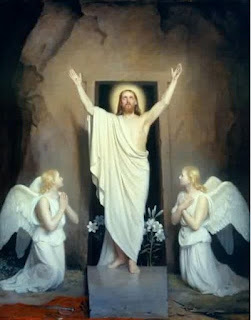 The Protestant believes that once a person is saved, that person will go to heaven. There is nothing about perfection in this belief of justification, which is mixed up with sanctification. It suggests. Here is a brief description of both. In the next post, I shall write more about where we get sanctifying grace. Sanctifying grace is an habitual gift, a stable and supernatural disposition that perfects the soul itself to enable it to live with God, to act by his love. Habitual grace, the permanent disposition to live and act in keeping with God's call, is distinguished from actual graces which refer to God's interventions, whether at the beginning of conversion or in the course of the work of sanctification. In a sense, the Reformation debate was over the nature of saving faith, not over whether faith saves. St. Thomas Aquinas, following St. Augustine and the patristic understanding of faith and salvation, said that saving faith was faith "formed by charity." In other words, saving faith involves at least the beginnings of the love of God. 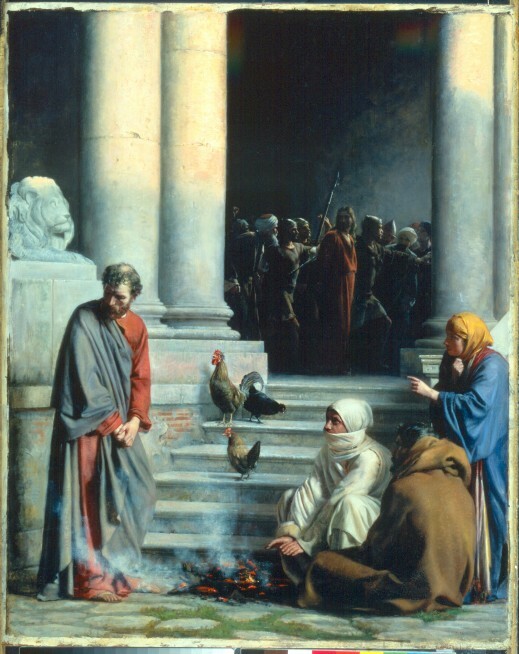 In this way, Catholics could speak of "justification by grace alone, through faith alone," if the "alone" was meant to distinguish the gift of God (faith) from any purely human contribution apart from grace; but not if "alone" was meant to offset faith from grace-enabled, grace-inspired, grace-accomplished love of God or charity. For Catholic theologians of the time, the term "faith" was generally used in the highly refined sense of the gracious work of God in us by which we assent to God's Word on the authority of God who reveals. In this sense, faith is distinct from entrusting oneself to God in hope and love, though obviously faith is, in a way, naturally ordered to doing so: God gives man faith so that man can entrust himself to God in hope and love. But faith, understood as mere assent (albeit graced assent), is only the beginning of salvation. It needs to be "informed" or completed by charity, also the work of grace. Luther and his followers, though, rejected the Catholic view that "saving faith" was "faith formed by charity" and therefore not "faith alone", where "faith" is understood as mere assent to God's Word, apart from trust and love. In large part, this was due to a misunderstanding by Luther. "We must not be misled on this point," writes Bouyer, "by Luther's later assertions opposed to thefides caritate formata [faith informed by charity]. His object in disowning this formula was to reject the idea that faith justified man only if there were added to it a love proceeding from a natural disposition, not coming as a gift of God, the whole being the gift of God." Yet Luther's view of faith, contents Bouyer, seems to imply an element of love, at least in the sense of a total self-commitment to God. And, of course, this love must be both the response to God's loving initiative and the effect of that initiative by which man is enabled and moved to respond. But once again, this is Catholic doctrine, for the charity that "informs" faith so that it becomes saving faith is not a natural disposition, but is as much the work of God as the assent of faith. Thus, Bouyer's point is that the doctrine of justification by faith alone (sola fide) was initially seen by the Reformers as a way of upholding justification by grace alone (sola gratia), which is also a fundamental Catholic truth. Only later, as a result of controversy, did the Reformers insist on identifying justification by faith alone with a negative principle that denied any form of cooperation, even grace-enabled cooperation. Where we can engage our Protestant brothers and sisters in this discussion is on the original idea of the assent of faith being the beginning of our personal holiness. As adults, this is not optional. The adult appropriation of the faith, as I have written so many times here, is what keeps us in the Church as adults. Grace and works, grace and Faith, grace....but from where does this grace come? First of all, we need to review the really heretical positions of the Protestants in order to help them unravel the lack of consistency here. We are actually saved and redeemed by Christ's Passion, not merely seen as such. 1. Extrinsic Justification. Regarding justification by grace alone, it was the doctrine of extrinsic justification and the rejection of the Catholic view of faith formed by charity as "saving faith." Bouyer writes, "The further Luther advanced in his conflict with other theologians, then with Rome, then with the whole of contemporary Catholicism and finally with the Catholicism of every age, the more closely we see him identifying affirmation about sola gratia with a particular theory, known as extrinsic justification." Extrinsic justification is the idea that justification occurs outside of man, rather than within him. Catholicism, as we have seen, holds that justification is by grace alone. In that sense, it originates outside of man, with God’s grace. But, according to Catholic teaching, God justifies man by effecting a change within him, by making him just or righteous, not merely by saying he is just or righteous or treating him as if he were. Justification imparts the righteousness of Christ to man, transforming him by grace into a child of God. We cannot ignore the seriousness of this difference-the imputing of salvation and the reality of salvation. The Reformation view was different. The Reformers, like the Catholic Church, insisted that justification is by grace and therefore originates outside of man, with God. But they also insisted that when God justifies man, man is not changed but merely declared just or righteous. God treats man as if he were just or righteous, imputing to man the righteousness of Christ, rather than imparting it to him. 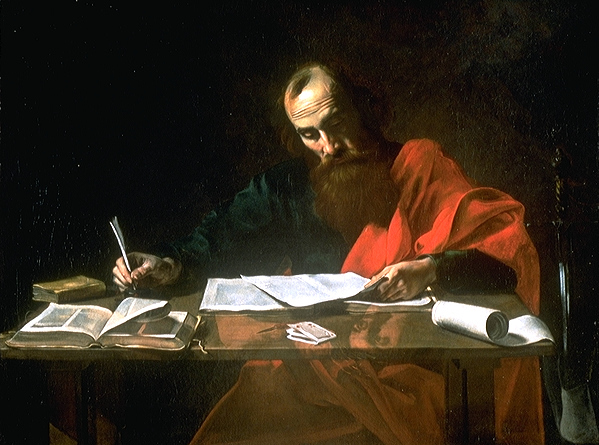 "Without the least doubt, grace, for St. Paul, however freely given, involves what he calls ‘the new creation’, the appearance in us of a ‘new man’, created in justice and holiness. So far from suppressing the efforts of man, or making them a matter of indifference, or at least irrelevant to salvation, he himself tells us to ‘work out your salvation with fear and trembling’, at the very moment when he affirms that ‘. 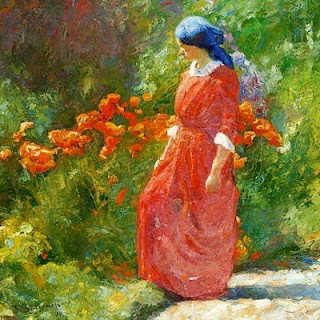 . . knowing that it is God who works in you both to will and to accomplish.’ These two expressions say better than any other that all is grace in our salvation, but at the same time grace is not opposed to human acts and endeavor in order to attain salvation, but arouses them and exacts their performance." If we as Catholics are not evangelizing, we are not obeying Christ. We are a Church of missionaries. There has been a excellent discussion on Protestantism and Catholics in the past, and I want to refer to this, as my next few posts will be on how to discuss salvation with Protestants. America was a Catholic nation and now it is secular. But, there are many good Protestants who would benefit from some good catechesis and mission work. So many liberal Catholics see this as politically incorrect. It is not. This idea rests on charity. But, as usual, are similarities bring us together at base. We all love Christ and have him as the center of our lives. We believe in the salvific act on Golgotha, allow with a different interpretation. I hope you can read the typeface, as I am having trouble with the blog set-up today. In other words, we all need grace to reach heaven and cooperate with God's mercy. Bouyer quotes, at length, from the Second Council of Orange (529), the teaching of which was confirmed by Pope Boniface II as de fide or part of the Church's faith. The Council asserted that salvation is the work of God's grace and that even the beginning of faith or the consent to saving grace is itself the result of grace. By our natural powers, we can neither think as we ought nor choose any good pertaining to salvation. We can only do so by the illumination and impulse of the Holy Spirit. Nor is it merely that man is limited in doing good. 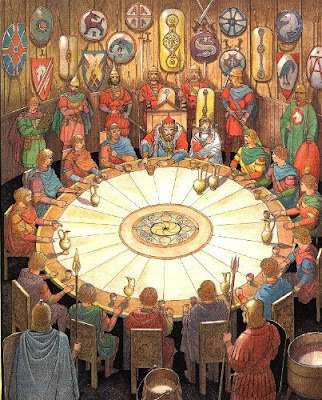 The Council affirmed that, as a result of the Fall, man is inclined to will evil. His freedom is gravely impaired and can only be repaired by God's grace. Following a number of biblical quotations, the Council states, "[W]e are obliged, in the mercy of God, to preach and believe that, through sin of the first man, the free will is so weakened and warped, that no one thereafter can either love God as he ought, or believe in God, or do good for the sake of God, unless moved, previously, by the grace of the divine mercy . . . . Our salvation requires that we assert and believe that, in every good work we do, it is not we who have the initiative, aided, subsequently, by the mercy of God, but that he begins by inspiring faith and love towards him, without any prior merit of ours." To be continued--how do we get grace? Many people do not understand this passage. 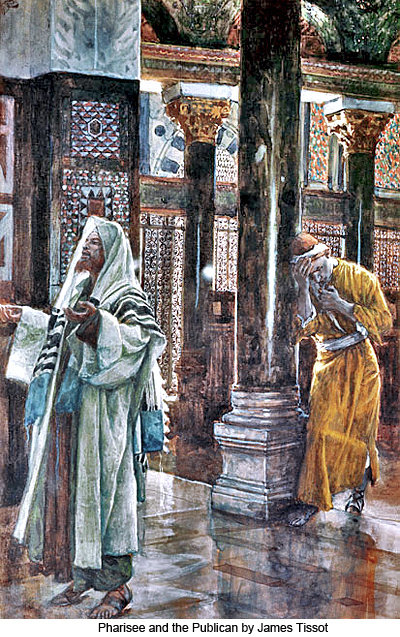 Most people think that this man, the Pharisee, is condemned by Christ merely because he was boasting to God about how holy he was keeping all the laws. Indeed, he was good in keeping the laws, but his religion was totally EXTERIOR. Doing all the right things is merely the beginning of holiness. But, unless those actions come from virtue, rather than the law, unless those actions are in the perfect Will of God, they are useless. Works do not merit heaven. Works are an overflow of the goodness which is already in the heart. This is one important point in my perfection series. Purification must precede and accompany good works. 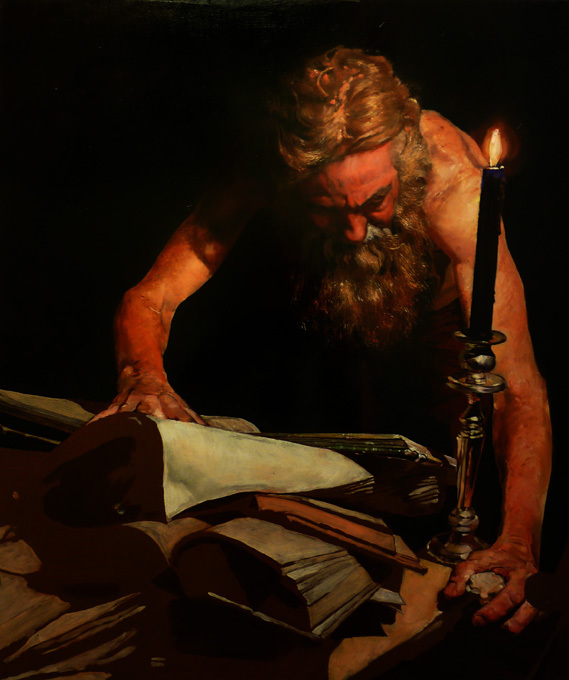 The second sin of this Pharisee was that he was comparing himself to the tax collector. This happens daily in the churches. People judge from outward appearances. There is a Catholic lady in a rural parish, who is in an irregular marriage. As long as her husband lives, and she loves him, she cannot receive Communion. She knows this, and yet she goes not only every Sunday to Mass, but sometimes to daily Mass. She is repentant, but cannot change her circumstances. 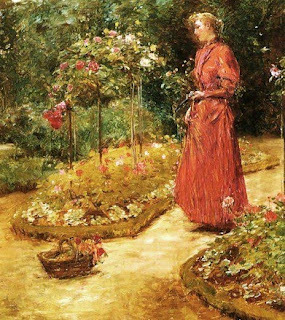 Until her Anglican husband's first wife dies, this Catholic wife remains outside. She is sorry, but she is caught in the past sin of her youth. That she goes to Mass and does not come up to Communion shows that she loves God and that she yearns to be part of the Church. That her husband does not want to get an annulment is her Cross. He does not go to Church. But, only God can see her heart. We see her pain. She knows she needs God and to stay as close to the Church as she can under the circumstances. I do not know God's Ways, but I do know that those who criticize her have no right to think themselves superior. And, some who look down on her are practicing Catholics who believe in contraception and SSM. How ironic. They keep the law, but lack the INTERIOR holiness needed to gain the Kingdom of God. We must never judge. May I add to this, that the artwork depicting this event in the Scriptures usually shows the Pharisee dressed to the nines and the tax collector in shabby clothes. Of course, this shabby clothes are an outside sign of inward poverty of spirit-that is, humility. I have been criticized for my old and second-hand clothes. I dress neatly and am clean, but few things I have are new. It is amazing to me how one is judged by clothes. I never realized this until I was too poor to buy new coats, or new things and had to wear the same things over and over and over. Or, I have to wear shoes which do not match my outfit, or things which are given,which I would never choose myself. I have been blessed with good friends who have given me new things, like a wonderful woman in America who bought me new shoes, for which I am very grateful; just a note: rather than giving cast off things like some people do, the real gift would be to give the poor money so that they could buy their own things rather than giving them cast offs. This is important. The poor love beauty just as much as the rich. But, poverty makes one stress the INTERIOR beauty of one's soul, and not the EXTERIOR. Another person I know who is poor is criticized for being overweight. She eats poor food. She cannot work out in the gym. She has a medical condition which makes her gain and keep on weight, and yet, she is criticized. I am amazed. I would never think to criticize a heavy person. It never occurs to me to do so. For me, the hardest thing about being poor is the lack of beauty in one's life. The Pharisee could surround himself with beauty, as he was well-to-do. The poor cannot do this. But, nature is my consolation. Today, the birds are singing, even though it is getting colder. May you and I never judge people according to their clothes. It is so wrong. Again, the INTERIOR LIFE TRUMPS THE EXTERIOR. Good one from Michael Voris. from Against the Pelagians: Dialogue Between Atticus, a Catholic, and Critobulus, a Heretic. Book One, found here. I highly recommend other works by Jerome, such as his defense of the Blessed Mother's perfect and constant virginity. This selection and commentary complete the entire posting on perfection for Jerome. For the purposes of this perfection series, I highlight this passage with comments in red. This is a meaty passage from the above address, which is longer. 4. C. The task I set you just now was an easy one by way of practice for something more difficult. What have you to say to my next argument? Clever as you are, all your skill will not avail to overthrow it. I shall first quote from the Old Testament, then from the New. Moses is the chief figure in the Old Testament, our Lord and Saviour in the New. Moses says to the people,5171“Be perfect in the sight of the Lord your God.” And the Saviour bids the Apostles5172“Be perfect as your heavenly Father is perfect.” Now it was either possible for the hearers to do what Moses and the Lord commanded, or, if it be impossible, the fault does not lie with them who cannot obey, but with Him who gave impossible commands. Being a great scholar, Jerome brings the Old and New Testament to bear upon perfection. We have seen this is some of the writings of the other Doctors of the Church as well. Remember, this is written like a classical dialogue; C is the heretic Critobulus, a Pelagian. Enjoy the style. A. This passage to the ignorant, and to those who are unaccustomed to meditate on Holy Scripture, and who neither know nor use it, does appear at first sight to favour your opinion. But when you look into it, the difficulty soon disappears. And when you compare passages of Scripture with others, that the Holy Spirit may not seem to contradict Himself with changing place and time, according to what is written,5173“Deep calleth unto deep at the noise of thy water spouts,” the truth will show itself, that is, that Christ did give a possible command when He said: “Be ye perfect as your heavenly Father is perfect,” and yet that the Apostles were not perfect. C. I am not talking of what the Apostles did, but of what Christ commanded. And the fault does not lie with the giver of the command, but with the hearers of it, because we cannot admit the justice of him who commands without conceding the possibility of doing what is commanded. can be without sin if he chooses, but that a man can be what the Apostles were not. C. Do you think me fool enough to dare say such a thing? In true classical mode, the arguments begin with a narrowing down of the topic. 14a. C. This way of arguing is intricate and brings the simplicity which becomes the Church into the tangled thickets of philosophy. What has Paul to do with Aristotle? or Peter with Plato? For as the latter was the prince of philosophers, so was the former chief of the Apostles: on him the Lord’s Church was firmly founded, and neither rushing flood nor storm can shake it. C. There is no eloquence in this, no bombast like that of the orators, who might be defined as persons whose object is to persuade, and who frame their language accordingly. We are seeking unadulterated truth, and use unsophisticated language. Either the Lord did not give impossible commands, so that they are to blame who did not do what was possible; or, if what is commanded cannot be done, then not they who do not things impossible are convicted of unrighteousness, but He Who commanded things impossible, and that is an impious statement. 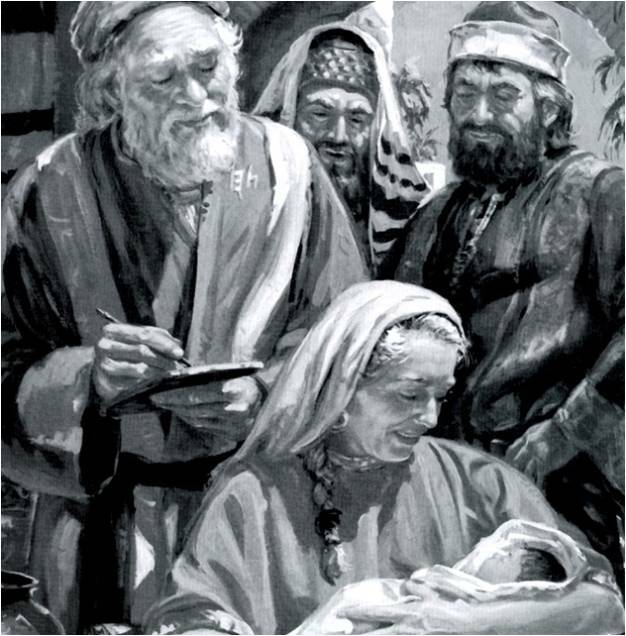 As Zechariah and Elizabeth knew, all things are possible with God. A. I see you are much more disturbed than is your wont; so I will not ply you with arguments. But let me briefly ask what you think of the well-known passage of the Apostle when he wrote to the Philippians:5176 “Not that I have already obtained, or am already made perfect: but I press on, if so be that I may apprehend that for which also I was apprehended by Christ Jesus. Brethren, I count not myself to have yet apprehended: but one thing I do; forgetting the things which are behind, and stretching forward to the things which are before, I press on towards the goal unto the prize of the high calling of God in Christ Jesus. Let us, therefore, as many as be perfect, be thus minded: and if in anything ye are otherwise minded, even this shall God reveal unto you,” and so on; no doubt you know the rest, which, in my desire to be brief, I omit. He says that he had not yet apprehended, and was by no means perfect; but, like an archer, aimed his arrows at the mark set up (more expressively called5177σκοπός in Greek), lest the shaft, turning to one side or the other, might show the unskillfulness of the archer. He further declares that he always forgot the past, and ever stretched forward to the things in front, thus teaching that no heed should be paid to the past, but the future earnestly desired; so that what to-day he thought perfect, while he was stretching forward to better things and things in front, to-morrow proves to have been imperfect. And thus at every step, never standing still, but always running, he shows that to be imperfect which we men thought perfect, and teaches that our only perfection and true righteousness is that which is measured by the excellence of God. “I press on towards the goal,” he says, “unto the prize of the high calling of God in Christ Jesus.” Oh, blessed Apostle Paul, pardon me, a poor creature who confess my faults, if I venture to ask a question. You say that you had not yet obtained, nor yet apprehended, nor were yet perfect, and that you always forgot the things behind, and stretched forward to the things in front, if by any means you might have part in the resurrection of the dead, and win the prize of your high calling. How, then, is it that you immediately add, “As many therefore as are perfect are thus minded”? (or, let us be thus minded, for the copies vary). And what mind is it that we have, or are to have? that we are perfect? that we have apprehended that which we have not apprehended, received what we have not received, are perfect who are not yet perfect? What mind then have we, or rather what mind ought we to have who are not perfect? 4) God reveals perfection and how to attain it. Jerome, the scholar of Scripture, knows his Bible to the point of perfection. He uses the word righteous, which is also justice, to show that perfect truth leads to a life of justice. God alone is All-Perfect, All-Just, All-Righteous. But the perfection to which we are called is worked out in fear, as we as creatures are called to our own perfection in God, but judged by His Perfection. We are, as we heard in some of the other Doctors, to be deified, that is, to become like God. Jerome, the great translator of the Bible, has a stunning knowledge of the Scripture and can pile up the witness of truth from many sources. And this is that which the Apostle elsewhere writes:5183 “That which hath been made glorious hath not been made glorious in this respect, by reason of the glory that surpasseth”; because, that is, the righteousness of the law, in comparison of the grace of the Gospel, does not seem to be righteousness at all.5184“For if,” he says, that which passeth away was with glory, much more that which remaineth is in glory.5185And again, “We know in part, and we prophesy in part; but when that which is perfect is come, that which is in part shall be done away.” And,5186“For now we see in a mirror, darkly; but then face to face: now I know in part; but then shall I know even as also I have been known.” And in the Psalms,5187“Such knowledge is too wonderful for me; it is high, I cannot attain unto it.” And again,5188“When I thought how I might know this, it was too painful for me; until I went into the sanctuary of God, and considered their latter end.” And in the same place,5189 “I was as a beast before thee: nevertheless I am continually with thee.” And Jeremiah says,5190 “Every man is become brutish and without knowledge.” And to return to the Apostle Paul,5191 “The foolishness of God is wiser than men.” And much besides, which I omit for brevity’s sake. Jerome could have added more passages, but he has pity on our efforts to concentrate. 16. C. My dear Atticus, your speech is really a clever feat of memory. But the labour you have spent in mustering this host of authorities is to my advantage. For I do not any more than you compare man with God, but with other men, in comparison with whom he who takes the trouble can be perfect. And so, when we say that man, if he chooses, can be without sin, the standard is the measure of man, not the majesty of God, in comparison with Whom no creature can be perfect. This next part clarifies the argument that although we are all called to perfection, as we are all unique creatures, that perfection varies, looks different. 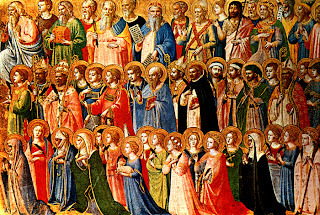 We see that in the lives of the saints. There are martyrs, children who are saints, great philosophers, married couples, emperors, nuns, bishops, and so on. Cardinal Newman's perfection differs from Teresa of Avila's or Benedicta of the Cross or little Jacinta. A. Critobulus, I am obliged to you for reminding me of the fact. For it is just my own view that no creature can be perfect in respect of true and finished righteousness. But that one differs from another, and that one man’s righteousness is not the same as another’s, no one doubts; nor again that one may be greater or less than another, and yet that, relatively to their own status and capacity, men may be called righteous who are not righteous when compared with others. For instance, the Apostle Paul, the chosen vessel who laboured more than all the Apostles, was, I suppose, righteous when he wrote to Timothy,5192 “I have fought the good fight, I have finished the course, I have kept the faith: henceforth there is laid up for me the crown of righteousness, which the Lord, the righteous judge, shall give to me at that day: and not only to me, but also to all them that love His appearing.” Timothy, his disciple and imitator, whom he taught the rules of action and the limits of virtue, was also righteous. Are we to think there was one and the same righteousness in them both, and that he had not more merit who laboured more than all? “In my Father’s house are many mansions.” I suppose there are also different degrees of merit. “One star differeth from another star in glory,” and in the one body of the Church there are different members. The sun has its own splendour, the moon tempers the darkness of the night; and the five heavenly bodies which are called planets traverse the sky in different tracks and with different degrees of luminousness. There are countless other stars whose movements we trace in the firmament. We are NEVER to compare ourselves with anyone but keep focused on God. Just are the stars are different, so are we. In the Body of Christ, there are all the parts-feet, hands, eyes..........all are necessary; all are to become perfect in Christ. This is our goal and our duty-and the Spirit gives us Life to become perfect. And here mark carefully that he does not say, as each member desires, but as the Spirit Himself will. For the vessel cannot say to him that makes it,5194 “Why dost thou make me thus or thus? Hath not the potter a right over the clay, from the same lump to make one part a vessel unto honour, and another unto dishonour?” And so in close sequence he added, “Desire earnestly the greater gifts,” so that, by the exercise of faith and diligence, we may win something in addition to other gifts, and may be superior to those who, compared with us, are in the second or third class. In a great house there are different vessels, some of gold, some of silver, brass, iron, wood. And yet while in its kind a vessel of brass is perfect, in comparison with one of silver it is called imperfect, and again one of silver, compared with one of gold, is inferior. I told my students, I would have loved to have sung in the opera. God did not give me that talent. I am not an Olympic swimmer-what joy that would be. However, God chose my gifts when He created me and I must become perfect within that person-hood, as I am in God. We do cooperate but only God Wills our own perfection in Him. 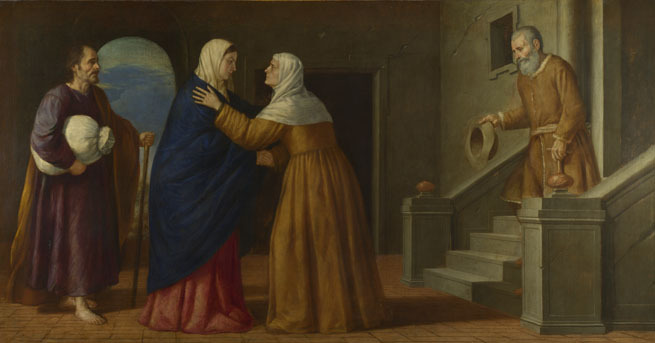 Mary was given all grace and virtue by God's Will. We are all different and in those differences, we become perfect in and through the Trinity. And thus, when compared with one another, all things are imperfect and perfect. 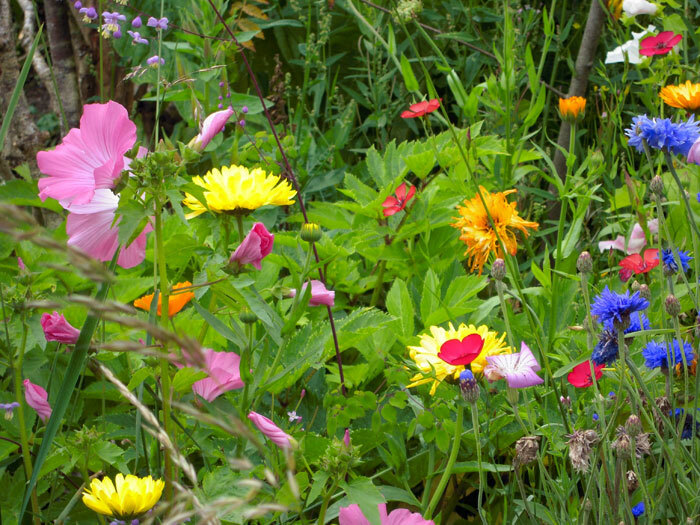 In a field of good soil, and from one sowing, there springs a crop thirty-fold, sixty-fold, or a hundred-fold. The very numbers show that there is disparity in the parts of the produce, and yet in its own kind each is perfect. Elizabeth and Zacharias, whom you adduce and with whom you cover yourself as with an impenetrable shield, may teach us how far they are beneath the holiness of blessed Mary, the Lord’s Mother, who, conscious that God was dwelling in her, proclaims without reserve,5195 “Behold, from henceforth all generations shall call me blessed. For He that is mighty hath done to me great things; and holy is His name. And His mercy is unto generations and generations of them that fear Him: He hath showed strength with His arm.” Where, observe, she says she is blessed not by her own merit and virtue, but by the mercy of God dwelling in her. St. John the Baptist is the greatest among men, states Christ. And, greater than his parents in his perfection. 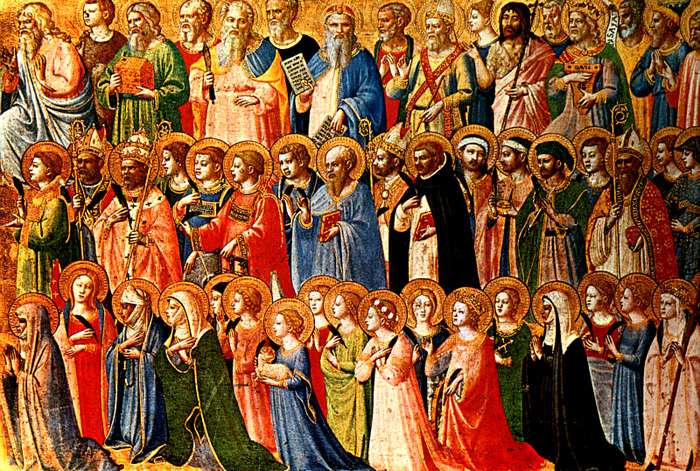 This is the grace and choice of God-great saints and little saints, but all are called to sanctity. And John himself, a greater than whom has not arisen among the sons of men, is better than his parents. For not only does our Lord compare him with men, but with angels also. And yet he, who was greater on earth than all other men, is said to be less than the least in the kingdom of heaven. Here is Judah, the ancestor of Christ, showing us that Thamar, in her just cause, despite using deceit, merited praise for her deed, by calling Judah to repentance. He was remiss in his duty to her. For her part, she is called righteous. All this goes to prove that not only in comparison with Divine majesty are men far from perfection, but also when compared with angels, and other men who have climbed the heights of virtue. You may be superior to some one whom you have shown to be imperfect, and yet be outstripped by another; and consequently may not have true perfection, which, if it be perfect, is absolute. And, yet, we are held to a high standard-that of Christ calling us to be perfect as His Father and our Father is perfect. 18. C. How is it then, Atticus, that the Divine Word urges us to perfection? A. I have already explained that in proportion to our strength each one, with all his power, must stretch forward, if by any means he may attain to, and apprehend the reward of his high calling. In short Almighty God, to whom, as the Apostle teaches, the Son must in accordance with the dispensation of the Incarnation be subjected, that5199“God may be all in all,” clearly shows that all things are by no means subject to Himself. To be a Catholic is hard. 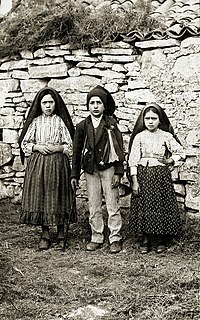 To be a saint is hard. To be perfect is hard. But, we strive forward.......as St. Paul writes so eloquently. Hence the prophet anticipates his own final subjection, saying,5200 “Shall not my soul be subject to God alone? for of Him cometh my salvation.” And because in the body of the Church Christ is the head, and some of the members still resist, the body does not appear to be subject even to the head. For if one member suffer, all the members suffer with it, and the whole body is tortured by the pain in one member. My meaning may be more clearly expressed thus. So long as we have the treasure in earthen vessels, and are clothed with frail flesh, or rather with mortal and corruptible flesh, we think ourselves fortunate if, in single virtues and separate portions of virtue, we are subject to God. But when this mortal shall have put on immortality, and this corruptible shall have put on incorruption, and death shall be swallowed up in the victory of Christ, then will God be all in all: and so there will not be merely wisdom in Solomon, sweetness in David, zeal in Elias and Phineas faith in Abraham, perfect love in Peter, to whom it was said,5201“Simon, son of John, lovest thou me?” zeal for preaching in the chosen vessel, and two or three virtues each in others, but God will be wholly in all, and the company of the saints will rejoice in the whole band of virtues, and God will be all in all. I have written about Peter's fall on this blog just a few days ago. He had to become perfect. 19. C. Do I understand you to say that no saint, so long as he is in this poor body, can have all virtues? A. Just so, because now we prophesy in part, and know in part. It is impossible for all things to be in all men, for no son of man is immortal. C. How is it, then, that we read that he who has one virtue appears to have all? A. By partaking of them, not possessing them, for individuals must excel in particular virtues. But I confess I don’t know where to find what you say you have read. C. Are you not aware that the philosophers take that view? A. The philosophers may, but the Apostles do not. I heed not what Aristotle, but what Paul, teaches. C. Pray does not James the Apostle5202 write that he who stumbles in one point is guilty of all? A. The passage is its own interpreter. James did not say, as a starting-point for the discussion, he who prefers a rich man to a poor man in honour is guilty of adultery or murder. That is a delusion of the Stoics who maintain the equality of sins. But he proceeds thus: “He who said, Thou shalt not commit adultery, said also, Thou shalt not kill: but although thou dost not kill, yet, if thou commit adultery, thou art become a transgressor of the law.” Light offences are compared with light ones, and heavy offences with heavy ones. A fault that deserves the rod must not be avenged with the sword; nor must a crime worthy of the sword, be checked with the rod. I was just talking to some young person about the inequality of sins. But, we must move away from all sin and all imperfections. The life of virtues blossoms when sin is being vanquished. C. Suppose it true that no saint has all the virtues: you will surely grant that within the range of his ability, if a man do what he can, he is perfect. A. Do you not remember what I said before? A. That a man is perfect in respect of what he has done, imperfect in respect of what he could not do. C. But as he is perfect in respect of what he has done, because he willed to do it, so in respect of that which constitutes him imperfect, because he has not done it, he might have been perfect, had he willed to do it. One is a violet, one a poppy, one a rose...one is the moon, one a star, one is lowly, one is high...all are called to perfection in God. 20. C. You push this one particular point too far in seeking to convince me that a man cannot have all excellences at the same time. As though God were guilty of envy, or unable to bestow upon His image and likeness a correspondence in all things to his Creator. Hey, we are NOT created equal in gifts or attributes. A. Is it I or you who go too far? You revive questions already settled, and do not understand that likeness is one thing, equality another; that the former is a painting, the latter, reality. A real horse courses over the plains; the painted one with his chariot does not leave the wall. The Arians do not allow to the Son of God what you give to every man. Some do not dare to confess the perfect humanity of Christ, lest they should be compelled to accept the belief that He had the sins of a man as though the Creator were unequal to the act of creating, and the title Son of Man were co-extensive with the title Son of God. So either set me something else to answer, or lay aside pride and give glory to God. C. You forget a former answer of yours, and have been so busy forging your chain of argument, and careering through the wide fields of Scripture, like a horse that has slipped its bridle, that you have not said a single word about the main point. Your forgetfulness is a pretext for escaping the necessity of a reply. It was foolish in me to concede to you for the nonce what you asked, and to suppose that you would voluntarily give up what you had received, and would not need a reminder to make you pay what you owed. A. If I mistake not, it was the question of possible commands of which I deferred the answer. Pray proceed as you think best. 21. C. The commands which God has given are either possible or impossible. If possible, it is in our power to do them, if we choose. If impossible, we cannot be held guilty for omitting duties which it is not given us to fulfill. Hence it results that, whether God has given possible or impossible commands, a man can be without sin if he chooses. A. I beg your patient attention, for what we seek is not victory over an opponent, but the triumph of truth over falsehood. God has put within the power of mankind all arts, for we see that a vast number of men have mastered them. To pass over those which the Greeks call5206βάναυσοι, as we may say, the manual arts, I will instance grammar, rhetoric, the three sorts of philosophy—physics, ethics, logic—geometry also, and astronomy, astrology, arithmetic, music, which are also parts of philosophy; medicine, too, in its threefold division—theory, investigation, practice; a knowledge of law in general and of particular enactments. Which of us, however clever he may be, will be able to understand them all, when the most eloquent of orators, discussing rhetoric and jurisprudence, said: “A few may excel in one, in both no one can.” You see, then, that God has commanded what is possible, and yet, that no one can by nature attain to what is possible. Similarly he has given different rules and various virtues, all of which we cannot possess at the same time. Hence it happens that a virtue which in one person takes the chief place, or is found in perfection, in another is but partial; and yet, he is not to blame who has not all excellence, nor is he condemned for lacking that which he has not; but he is justified through what he does possess. The Apostle described the character of a bishop when he wrote to Timothy,5207 “The bishop, therefore, must be without reproach, the husband of one wife, temperate, modest, orderly, given to hospitality, apt to teach; no brawler, no striker; but gentle, not contentious, no lover of money; one that ruleth well his own house, having his children in subjection with all modesty.” And again, “Not a novice, lest, being puffed up, he fall into the condemnation of the devil. Moreover, he must have good testimony from them that are without, lest he fall into reproach and the snare of the devil.” Writing also to his disciple Titus, he briefly points out what sort of bishops he ought to ordain:5208“For this cause left I thee in Crete, that thou shouldest set in order the things that were wanting, and appoint elders in every city, as I gave thee charge; if any man is blameless, the husband of one wife, having children that believe, who are not accused of riot or unruly. For the bishop must be blameless (or free from accusation, for so much is conveyed by the original) as God’s steward; not self-willed, not soon angry, no brawler, no striker, not greedy of filthy lucre; but given to hospitality, kind, modest, just, holy, temperate; holding to the faithful word which is according to the teaching, that he may be able both to exhort in the sound doctrine, and to convict the gainsayers.” I will not now say anything of the various rules relating to different persons, but will confine myself to the commands connected with the bishop. Well, this section is timely, as the date of the conclave is announced. God will call the perfect pope for this time, for this age, for the Church.............Have you noticed the repetition of the word "order" here? Order is demanded at this time in the Church. And, as seen below, the bishop, the cardinal, and therefore, the Bishop of Rome, the Pope, must be able to teach. Make the novena to St. Joseph that this happens. And, also notice, that Jerome, like some of the Doctors before in this series, emphasizes modesty. A quiet, controlled, mature demeanor is a sign of holiness and appropriateness, that is, an ordered character. We have seen this week, that not all cardinals posses these virtues. Let us consider, also, the emphasis laid on modesty by the addition of the words “having his children in subjection with all modesty.” Not only in deed but in word and gesture must he hold aloof from immodesty, lest perchance the experience of Eli be his. Eli certainly rebuked his sons, saying,5210 “Nay, my sons, nay; it is not a good report which I hear of you.” He chided them, and yet was punished, because he should not have chided, but cast them off. What will he do who rejoices at vice or lacks the courage to correct it? Who fears his own conscience, and therefore pretends to be ignorant of what is in everybody’s mouth? The next point is that the bishop must be free from accusation, that he have a good report from them who are without, that no reproaches of opponents be levelled at him, and that they who dislike his doctrine may be pleased with his life. AMEN! St. Jerome is speaking to us today. The Bishop of Rome must be a just, righteous man. He must be good. He must be like Christ. I suppose it would not be easy to find all this, and particularly one “able to resist the gain-sayers,” to check and overcome erroneous opinions. He wishes no novice to be ordained bishop, and yet in our time we see the youthful novice sought after as though he represented the highest righteousness. If baptism immediately made a man righteous, and full of all righteousness, it was of course idle for the Apostle to repel a novice; but baptism annuls old sins, does not bestow new virtues; it looses from prison, and promises rewards to the released if he will work. Seldom or never, I say, is there a man who has all the virtues which a bishop should have. And yet if a bishop lacked one or two of the virtues in the list, it does not follow that he can no longer be called righteous, nor will he be condemned for his deficiencies, but will be crowned for what he has. For to have all and lack nothing is the virtue of Him5211 “Who did no sin; neither was guile found in His mouth; Who, when He was reviled, reviled not again;” Who, confident in the consciousness of virtue, said,5212 “Behold the prince of this world cometh, and findeth nothing in me;”5213“Who, being in the form of God, thought it not robbery to be on an equality with God, but emptied Himself, taking the form of a servant, and became obedient unto death, even the death of the cross. Wherefore God gave Him the name which is above every name, that at the name of Jesus every knee should bow, of things in heaven, and things on earth, and things under the earth.” If, then, in the person of a single bishop you will either not find at all, or with difficulty, even a few of the things commanded, how will you deal with the mass of men in general who are bound to fulfil all the commandments? This next section in Jerome's work is so beautiful. All of us are different, but we all have talents and gifts to help each other. 23. Let us reason from things bodily to things spiritual. One man is swift-footed, but not strong-handed. That man’s movements are slow, but he stands firm in battle. This man has a fine face, but a harsh voice: another is repulsive to look at, but sings sweetly and melodiously. There we see a man of great ability, but equally poor memory; here is another whose memory serves him, but whose wits are slow. In the very discussions with which when we were boys we amused ourselves, all the disputants are not on a level, either in introducing a subject, or in narrative, or in digressions, or wealth of illustration, and charm of peroration, but their various oratorical efforts exhibit different degrees of merit. Of churchmen I will say more. Many discourse well upon the Gospels, but in explaining an Apostle’s meaning are unequal to themselves. Others, although most acute in the New Testament are dumb in the Psalms and the Old Testament. I quite agree with Virgil—Non omnia possumus omnes; and seldom or never is the rich man found who in the abundance of his wealth has everything in equal proportions. That God has given possible commands, I admit no less than you. But it is not for each one of us to make all these possible virtues our own, not because our nature is weak, for that is a slander upon God, but because our hearts and minds grow weary and cannot keep all virtues simultaneously and perpetually. And if you blame the Creator for having made you subject to weariness and failure, I shall reply, your censure would be still more severe if you thought proper to accuse Him of not having made you God. But you will say, if I have not the power, no sin attaches to me. You have sinned because you have not done what another could do. And again, he in comparison with whom you are inferior will be a sinner in respect of some other virtue, relatively to you or to another person; and thus it happens that whoever is thought to be first, is inferior to him who is his superior in some other particular. 24. C. If it is impossible for man to be without sin, what does the Apostle Jude mean by writing,5214 “Now unto Him that is able to keep you without sin, and to set you before the presence of His glory without blemish”? This is clear proof that it is possible to keep a man without sin and without blemish. A. You do not understand the passage. We are not told that a man can be without sin, which is your view, but that God, if He chooses, can keep a man free from sin, and of His mercy guard him so that he may be without blemish. And I say that all things are possible with God; but that everything which a man desires is not possible to him, and especially, an attribute which belongs to no created thing you ever read of. Goodbye and thank you to St. Jerome. There will be more Doctors of the Church soon.